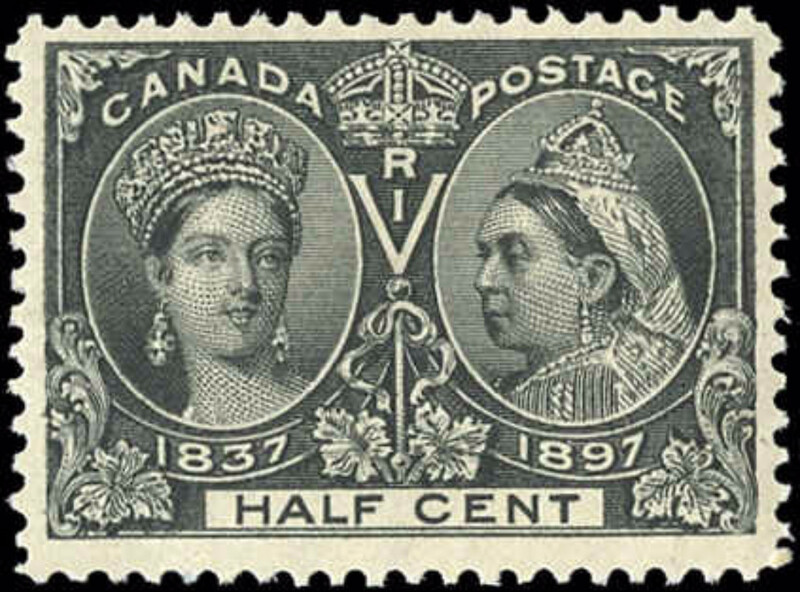 The Diamond Jubilee Stamps were the first commemorative stamps to be issued by Canada. 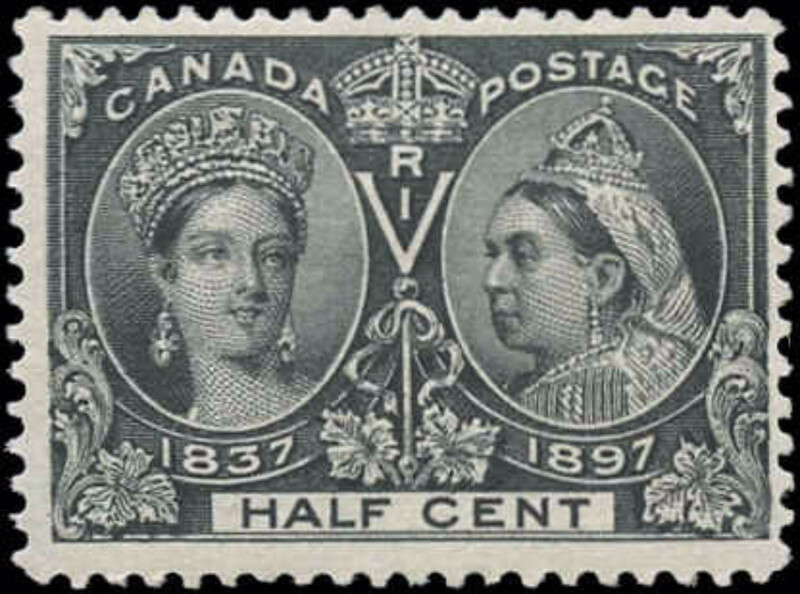 The stamps commemorated the 60th year of Queen Victoria's reign and the 30th year of Canada's Confederation. 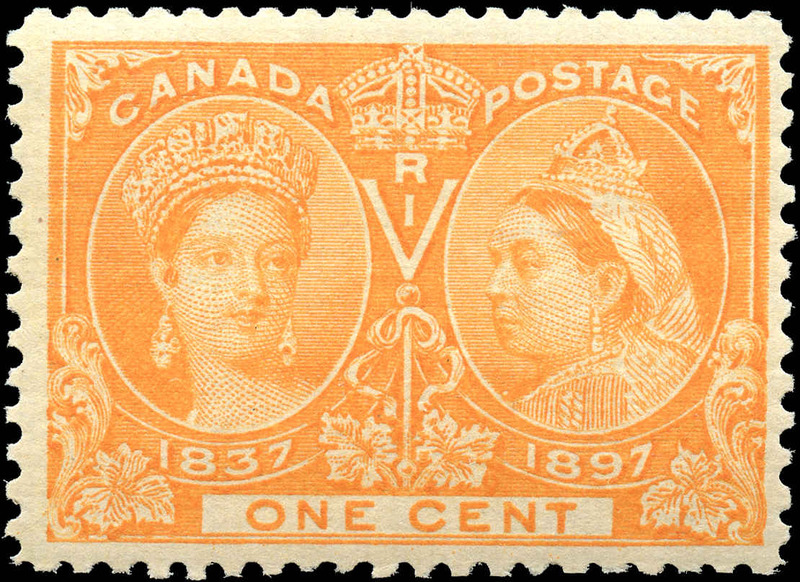 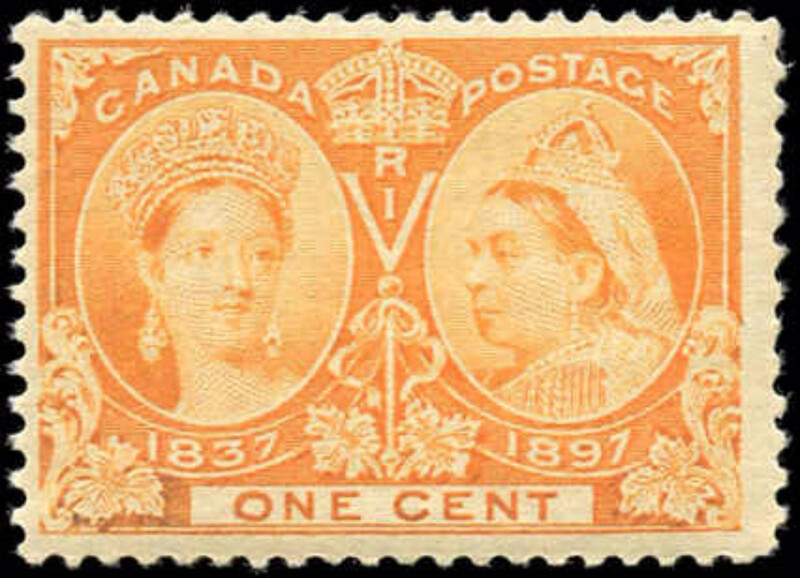 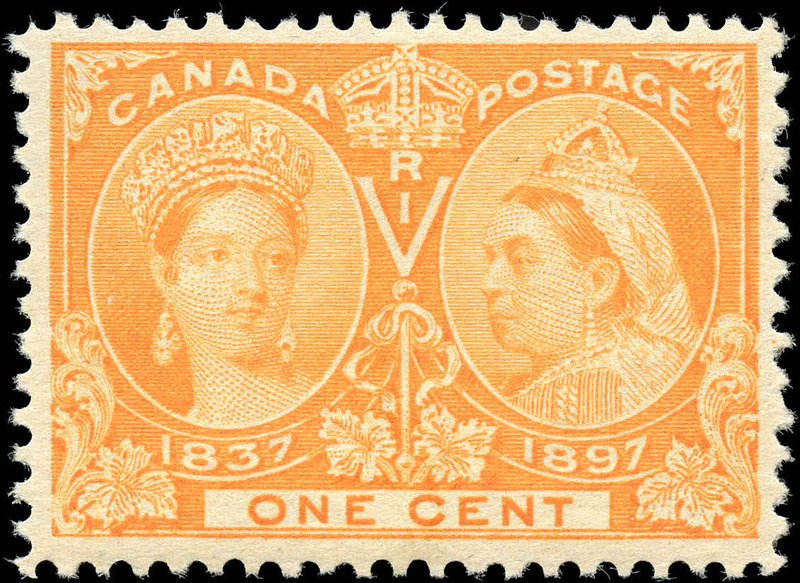 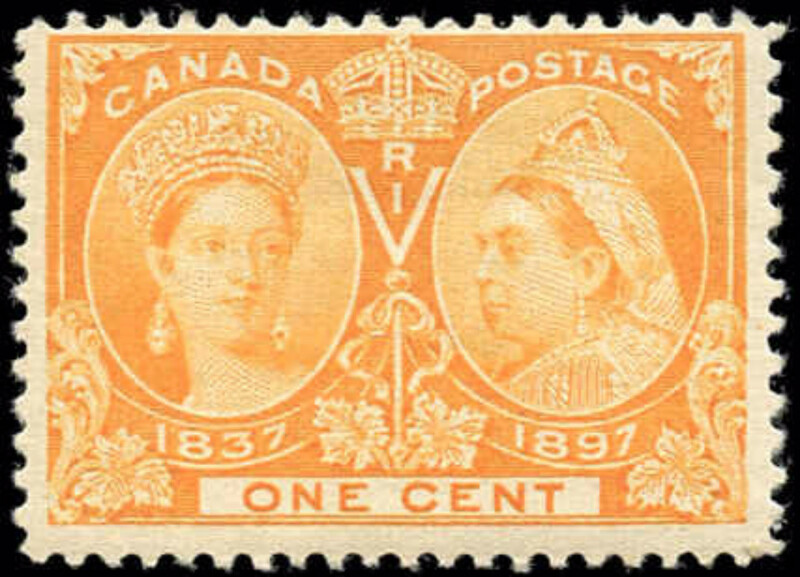 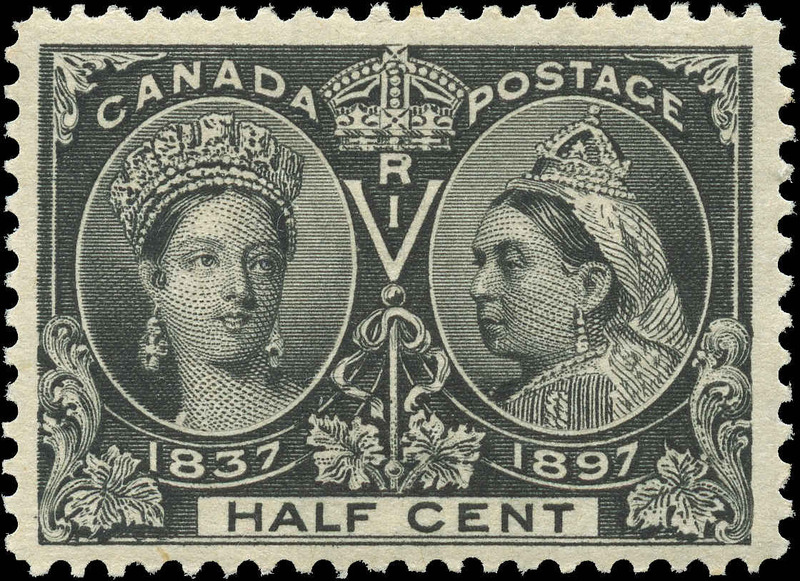 Queen Victoria reigned from June 20, 1837 until January 22, 1901 ( 63 years, 216 days ) The stamp design consisted of 2 portraits of Queen Victoria: on the left there is the image of the younger Queen - by Alfred Edward Chalon, while on the right there is an image of the older Queen - by Alexander Bassano. 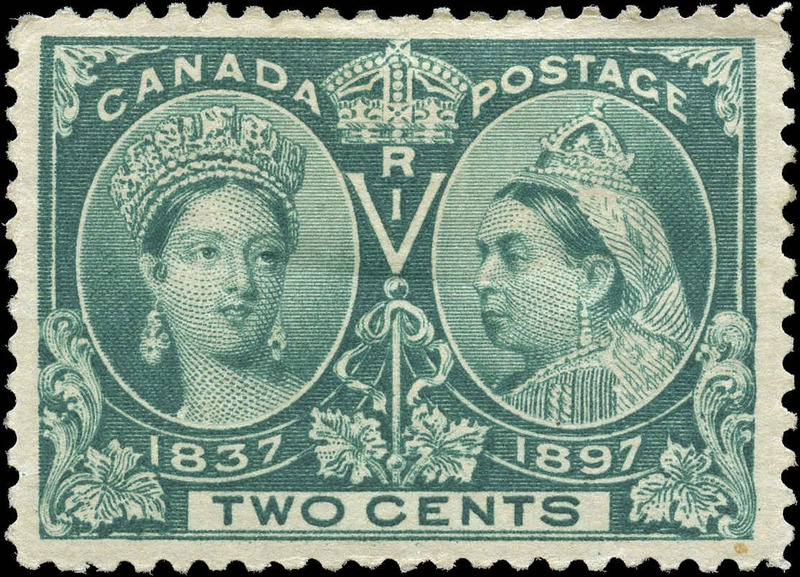 The stamps were printed by the American Banknote Company. 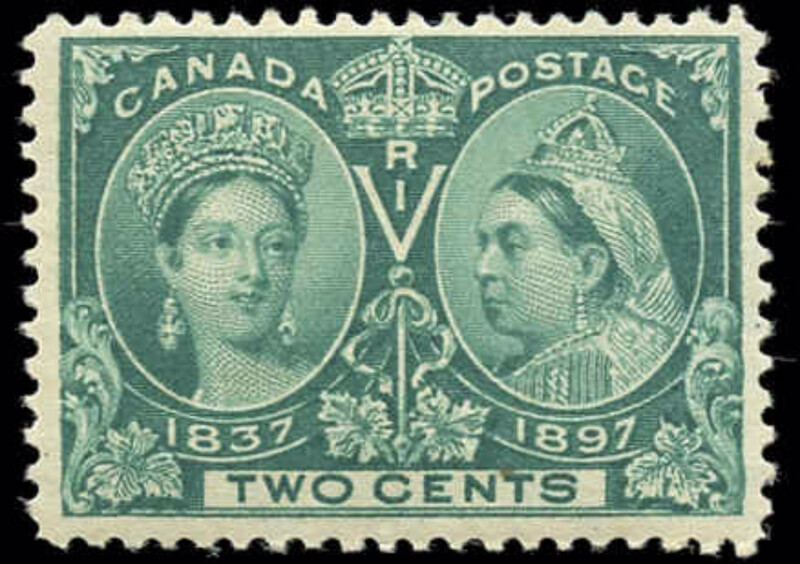 The Diamond Jubilee Stamps were the first ones printed pursuant to their contract, a contract that lasted until 1923. 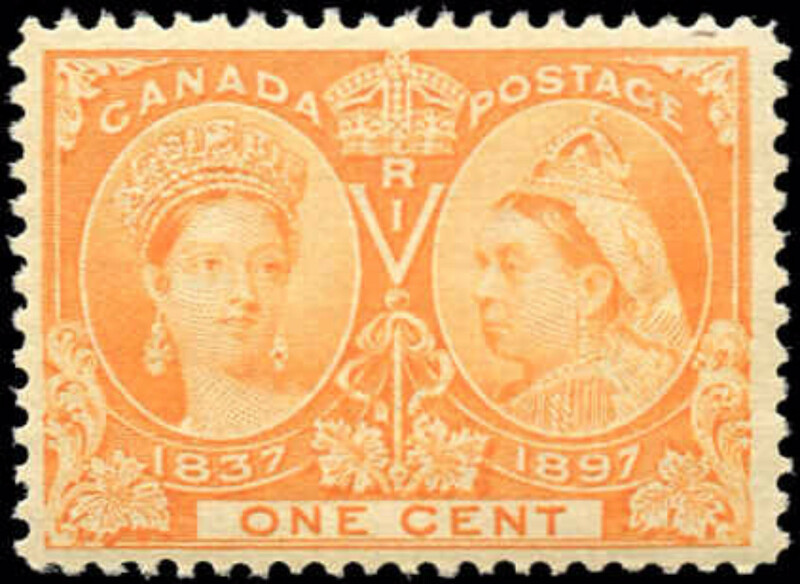 There are 16 stamps in the set. 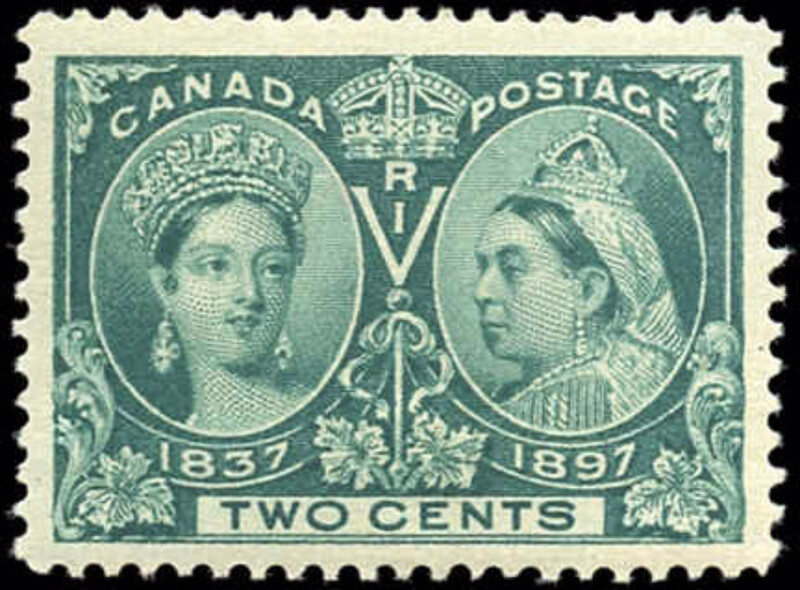 A set of Diamond Jubilee Stamps is ranked as one of the most popular of all the classic stamp sets of the world. 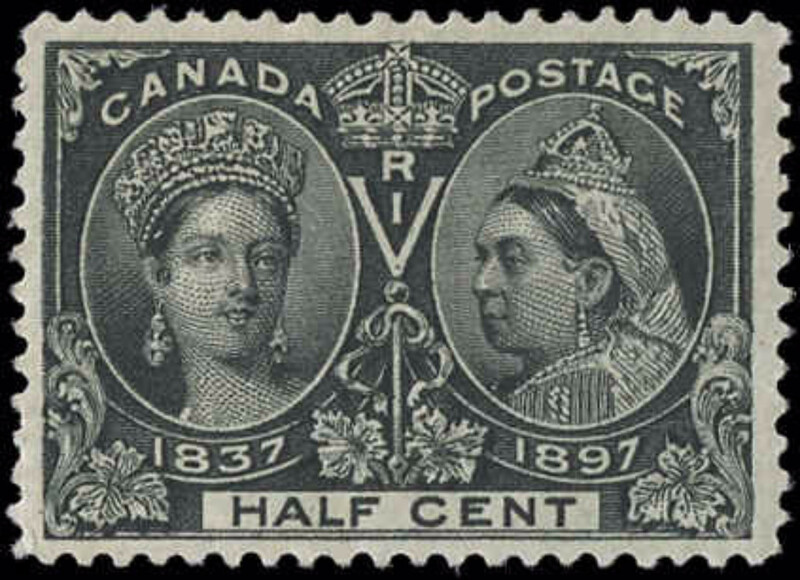 The set starts at the 1/2 cent and goes through to the 5 dollars. 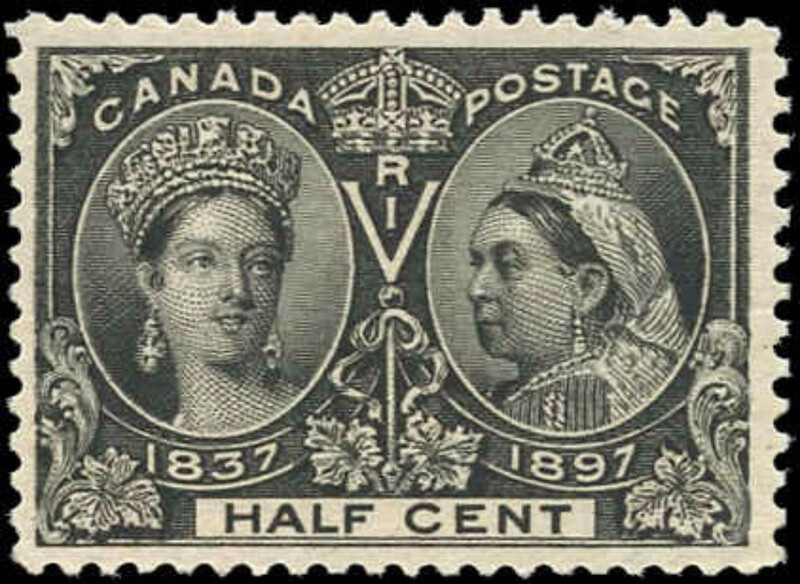 The 1-5 Dollar stamps were stamps that very few people could afford at the time. 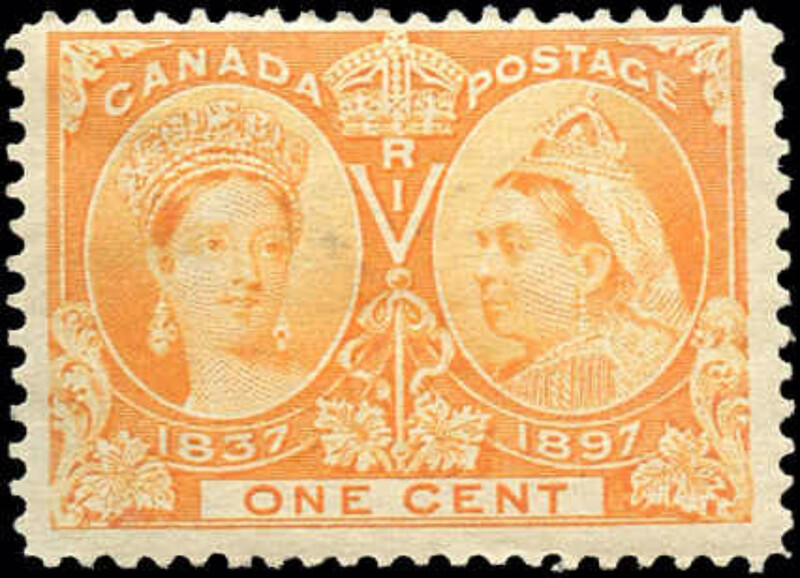 As such, fewer of the high-value stamps were printed, making them much rarer and expensive today. 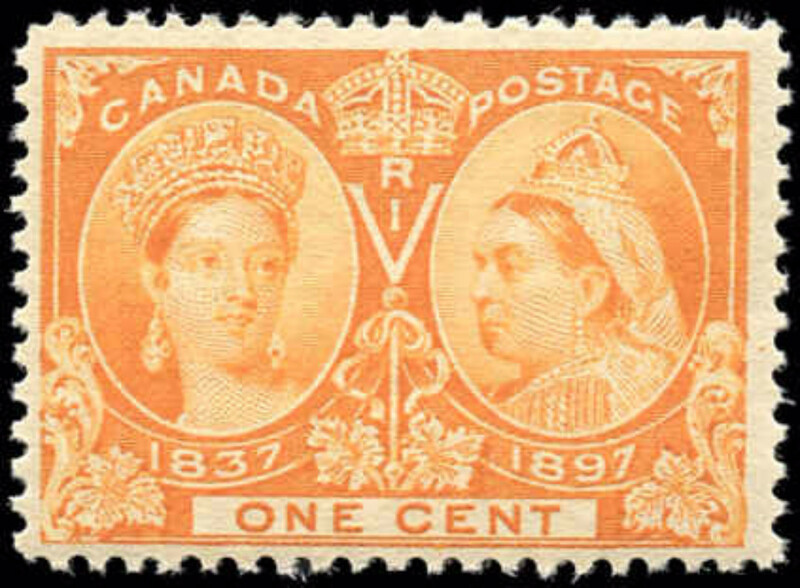 The 1/2 cent stamp through to and including the 8 cent stamp were printed in panes of 100, while all other values were printed in panes of 50. 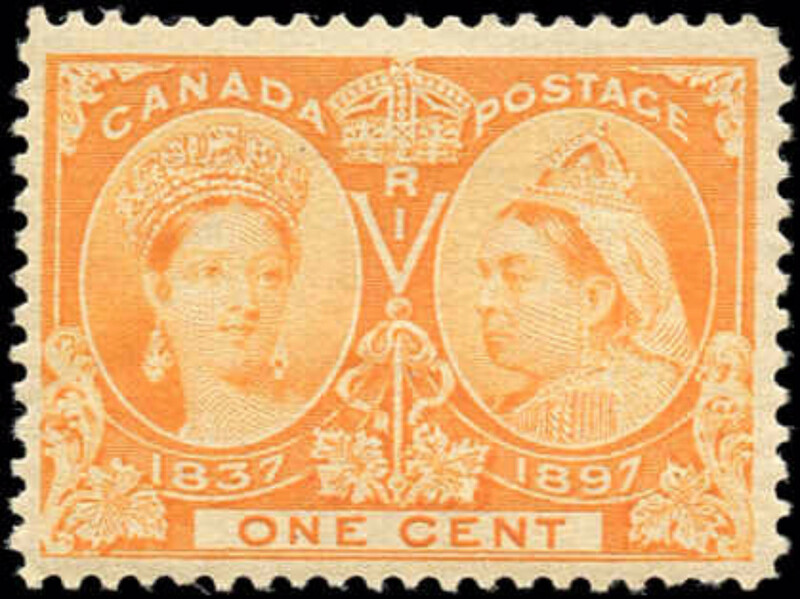 The plate numbers that appear on these panes were the first of any Canadian stamps to be so identified. 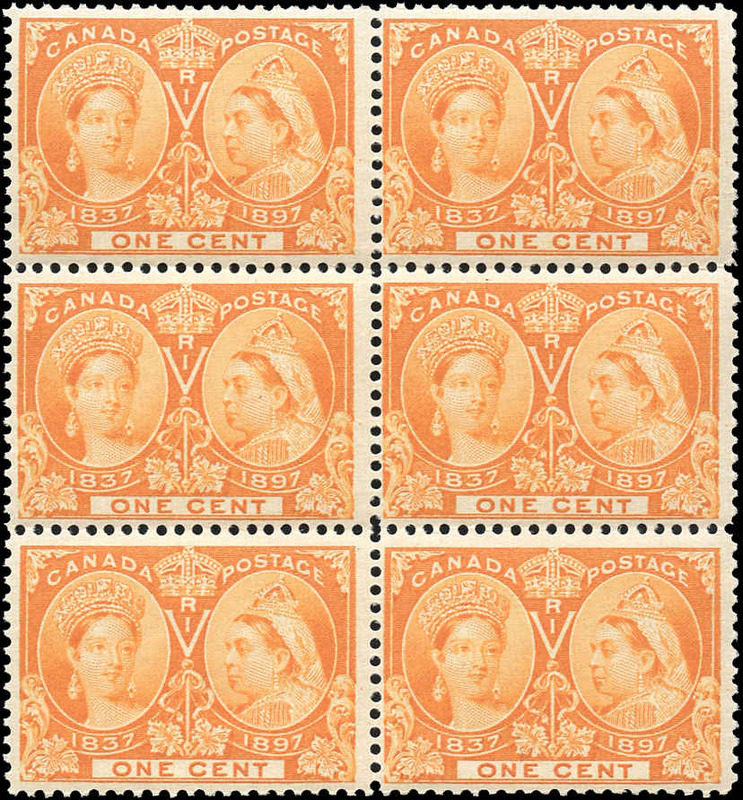 Almost all denominations can be found with some collectible shade varieties. 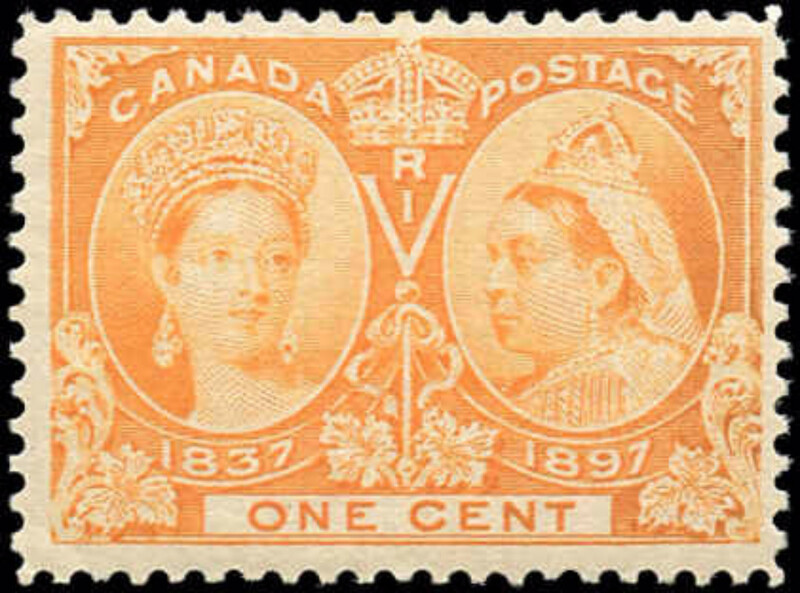 The distribution of the stamps began on June 10, 1897, and the official date of their issue was June 19, 1897. 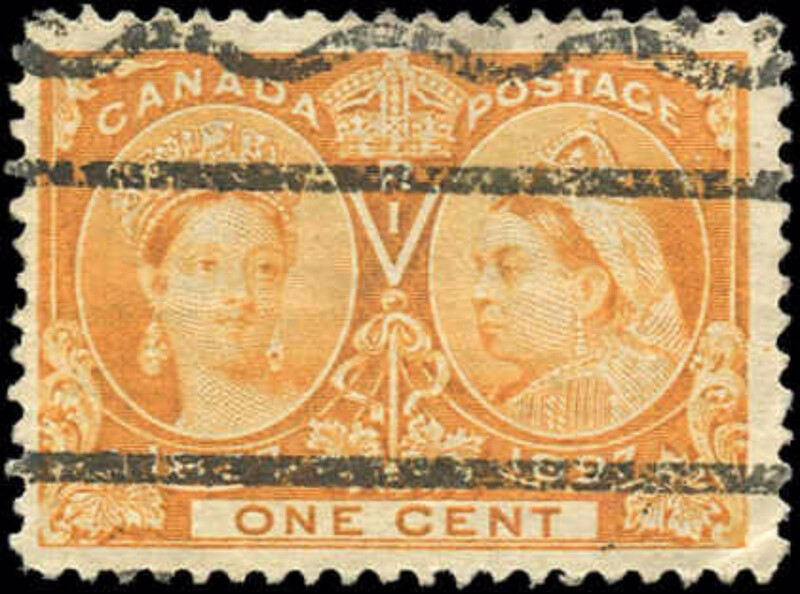 The dyes, plates, and transfer rolls were destroyed on September 10, 1897. 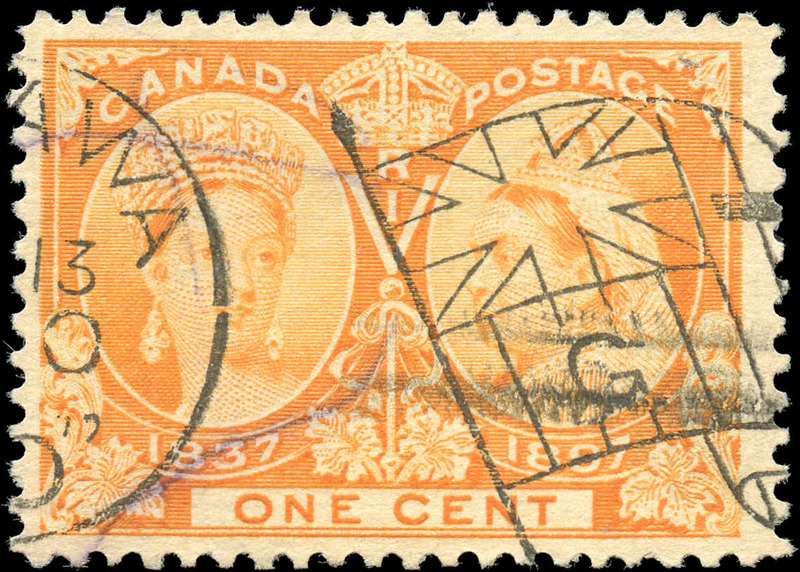 The postal rate for drop letters and postcards were 1 cent and letters were 3 cents. 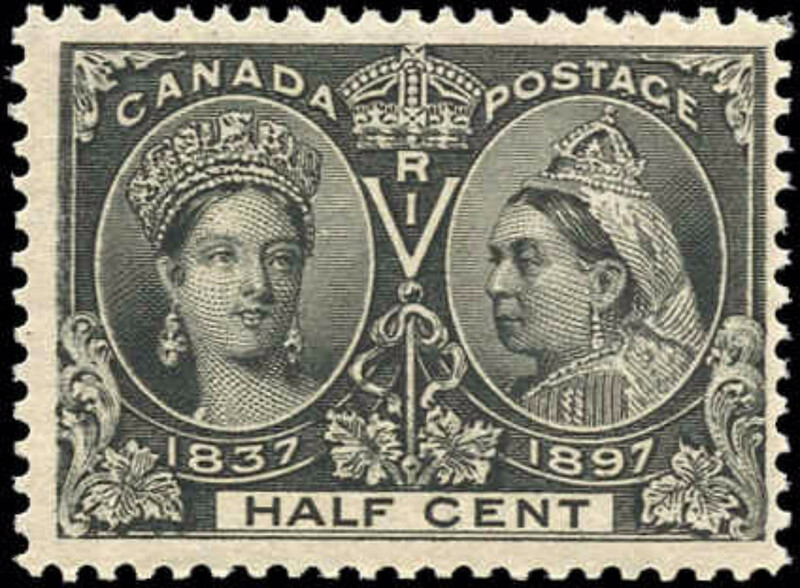 Registration was 5 cents. 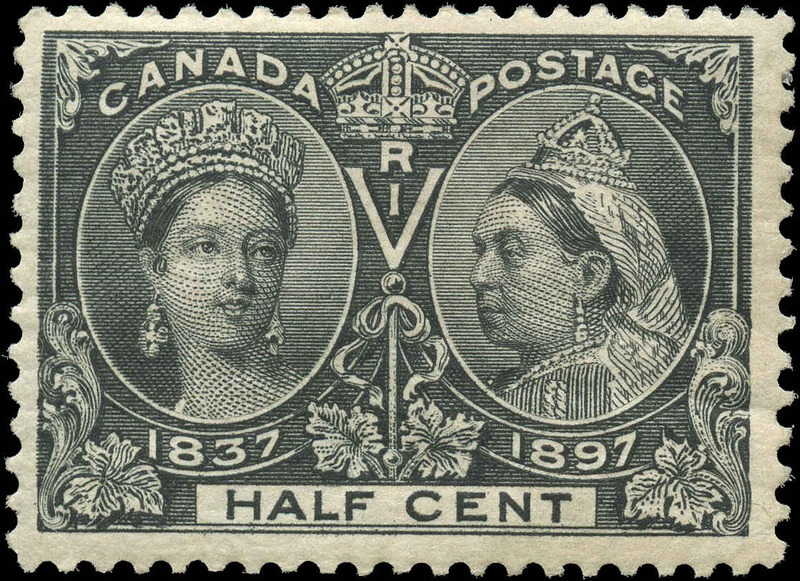 Thus, the 1 cent, 3 cent, and 5 cent values were the most common to be found on the cover. 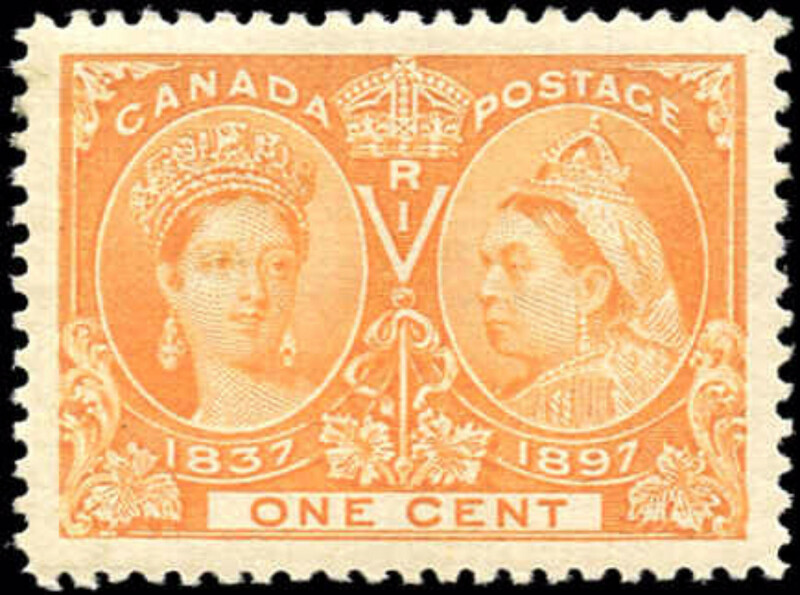 The large size of the stamp allowed for cancellations that were generally much more readable. 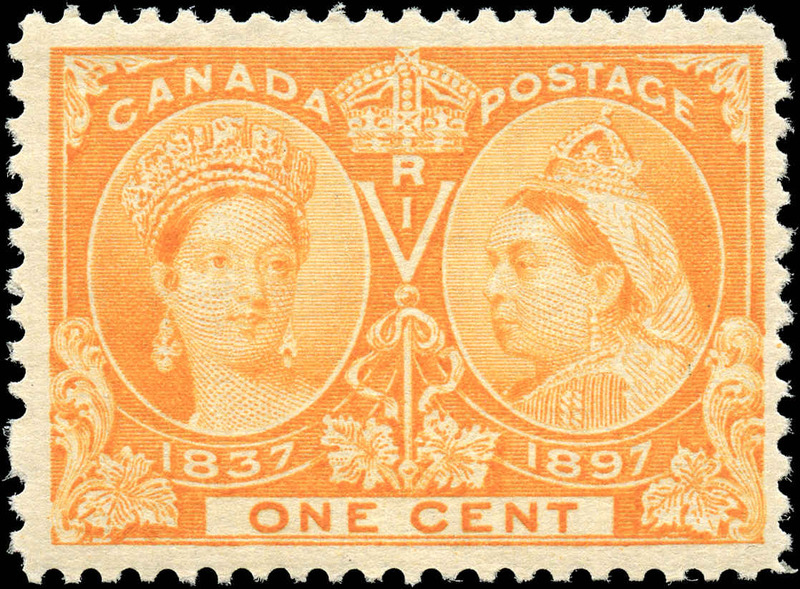 Therefore, collectors find this issue very popular when looking for cancels from different towns and provinces.